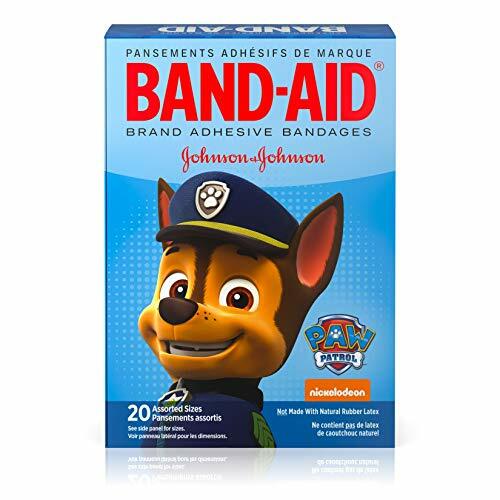 Band-Aid Brand Adhesive Bandages for kids and toddlers, featuring Nickelodeon Paw Patrol designs, cover and protect minor cuts and scrapes with fun Nickelodeon Paw Patrol graphics. These sterile bandages come in assorted sizes with designs that include Ryder and his team of pups. Band-Aid Brand Adhesive Bandages stick to the skin, not the wound. This package contains 20 sterile bandages in assorted sizes, suitable for small wounds. Band-Aid Brand Adhesive Bandages are great to keep on hand as essential first-aid supplies. 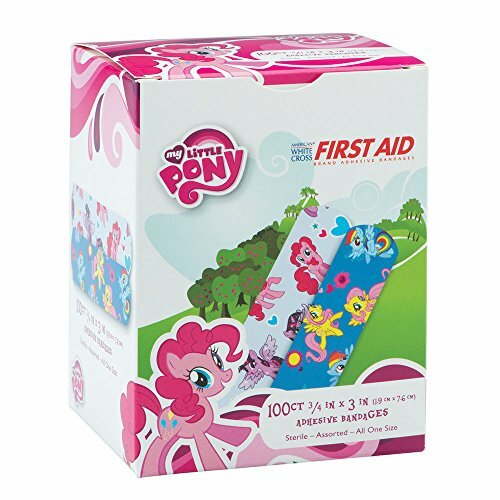 Watch the tears fade away when you use magical First Aid My Little Pony Bandages! 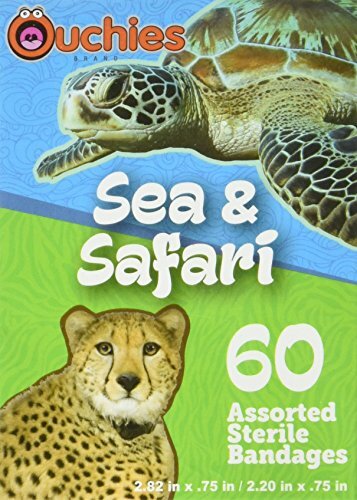 Each box includes 100 latex-free standard Stat Strip bandages that feature sweet images of Rainbow Dash, Pinkie Pie and other pony friends. Using kid-friendly designs is a great way to cheer up kids after they have received immunizations or labwork. 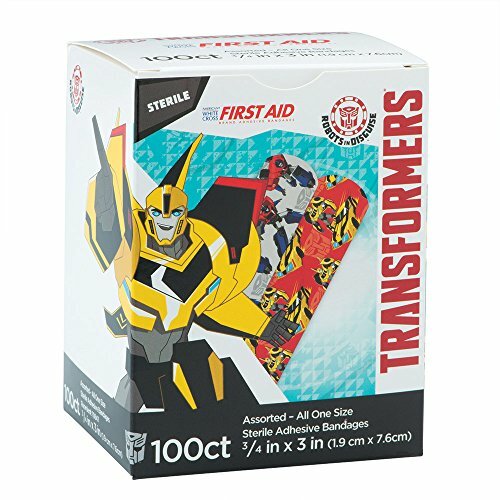 Transform those tears into smiles with cool First Aid Transformers Bandages! Each box includes 100 latex-free standard Stat Strip bandages that feature exciting images of their favorite Autobots in action! Great way to cheer up kids after their immunizations. Just another gem in our extensive line of character bandages by American White Cross. Fully licensed and sanctioned product. Give your kids the pacifier they need when they get a cut or scrape. Good for adults too. I should know because I'm an adult. 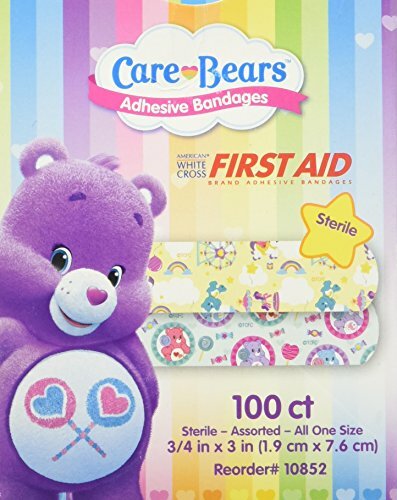 Care Bears Character Bandages will thrill your children! Kids can stay Tonka Tough when boo-boos are covered with First Aid Tonka Bandages! 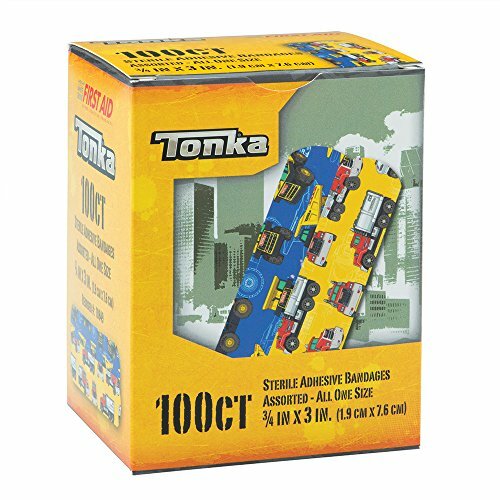 Each box includes 100 latex-free standard Stat Strip bandages that feature images of strong construction trucks. Keep your first aid kits stocked with bandages that feature familiar designs kids love! 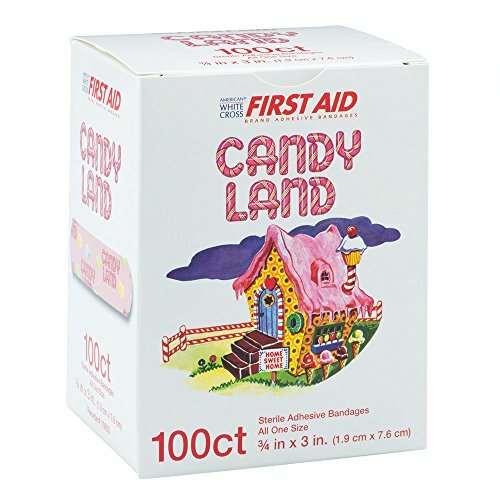 Stop their tears with the sugary sweet designs of First Aid Candy Land Bandages! Each box includes 100 latex-free standard Stat Strip bandages that feature the iconic peppermint twist logo and scattered candy pieces. Treat your kids' ouchies with fun and familiar designs that are also nostalgic to you! It's no mystery - Scooby-Doo makes kids smile! 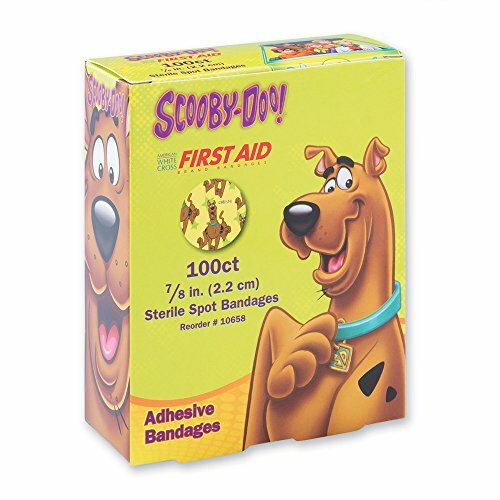 Each box of First Aid Scooby-Doo Bandages contains 100 latex-free spot bandages and features an all over Scooby-Doo print! Spot bandages are perfect to cheer children up after their shots. Stock your medical office with these fun bandages. Perfect to cheer children up after their shots. Stock your medical office with these fun bandages. 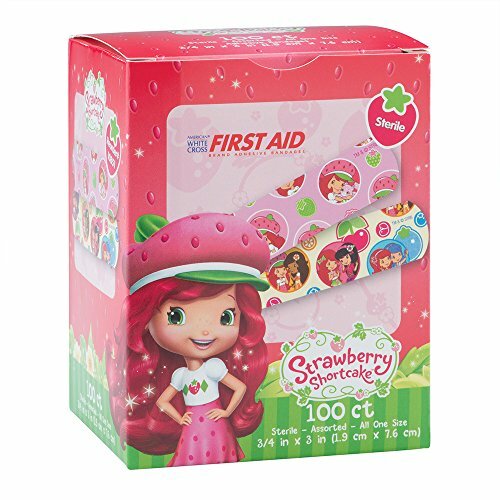 Bring smiles to young kids' faces with the berry sweet designs on these First Aid Strawberry Shortcake Bandages! 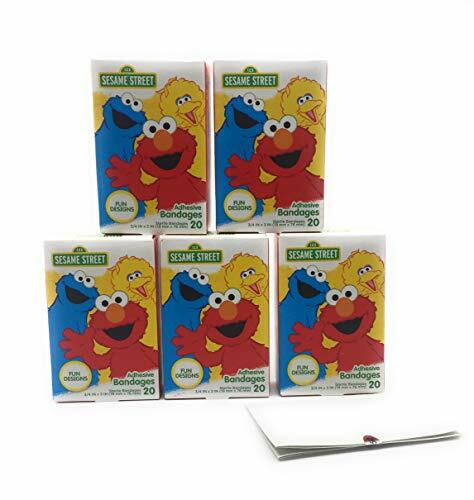 Each box includes 100 latex-free standard Stat Strip bandages that feature Strawberry Shortcake and her friends! Kid-friendly bandage designs are a great way to cheer up kids after they've received immunizations or labwork! Featuring Strawberry Shortcake and her friends! Kid-friendly bandage designs are a great way to cheer up kids after they've received immunizations or labwork! The Avengers have arrived to make boo-boos feel better! Each box of Band-Aid Avengers Assemble Bandages contains 20 bandages; 10 small and 10 large bandages featuring Iron Man, The Hulk, Captain America and Thor! 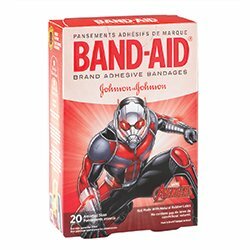 These bandages are latex-free, however, their packaging does contain latex.Kids will love to see their favorite superheroes on their bandages from the movie Avengers: Age of Ultron. Ninja training can be dangerous, and every good ninja needs to be prepared for the inevitable. To be the best, you must always have Ninja Bandages in your first-aid kit for when a boo-boo sneaks up on you. After a surprise attack, you will need to slap a Ninja Bandage on and continue your quest to karate, ninja greatness. Hi-yah, young grasshopper! Cuts and scrapes will be cleverly obscured & protected. 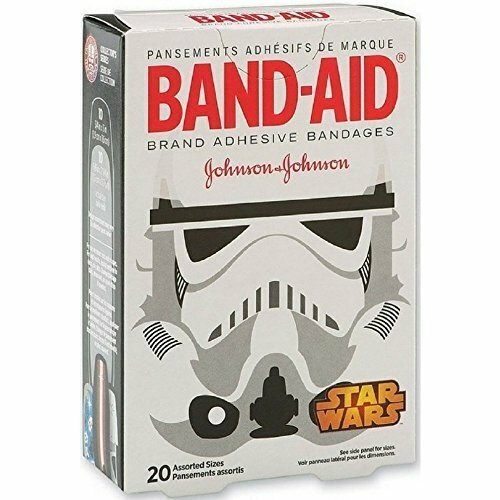 Band-Aid Brand Adhesive Bandages featuring Star Wars cover and protect minor cuts and scrapes with fun Star Wars graphics. These sterile bandages come in assorted sizes with designs that include Chewbaca, R2D2, and others. Band-Aid Brand Adhesive Bandages stick to the skin, not the wound. This package contains 20 sterile bandages in assorted sizes suitable for small wounds. These classic Superheroes team up to bring smiles! 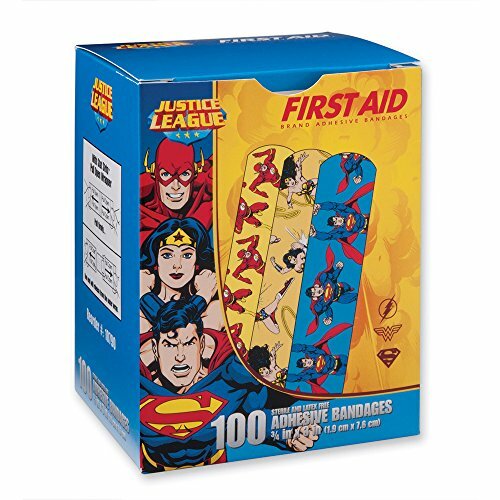 Each box of First Aid Wonder Woman, Superman, Flash Bandages contains 100 latex-free standard Stat Strip bandages and features 3 Justice League designs! This powerful assortment of character bandages will chase away kids' fears and tears. 3/4 x 3 inches. 100 bandages per unit. Individually Wrapped. Keep boys and girls smiling by covering their boo boos with kid-friendly bandages from SmileMakers! 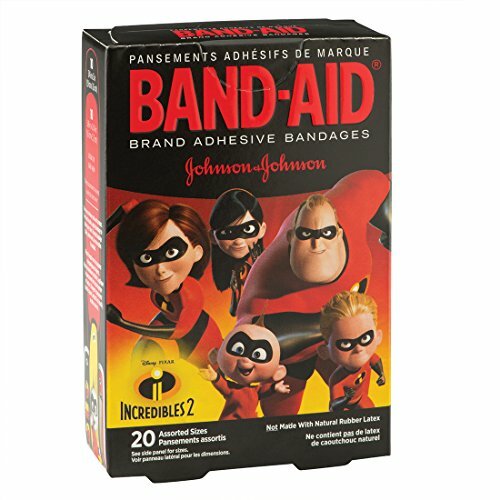 Each box of Band-Aid Disney Pixar Incredibles 2 Bandages features 20 latex-free bandages; 10 small strips and 10 large strips. Children will love seeing their favorite superhero family including Mr. Incredible, Jack-Jack, Dash, Violet, Elastigirl and friends! Order a few boxes to stock the first-aid kit in your medical or dental office! 3/4 x 3 inch large; 5/8 x 2 1/4 inch small. Individually Wrapped. 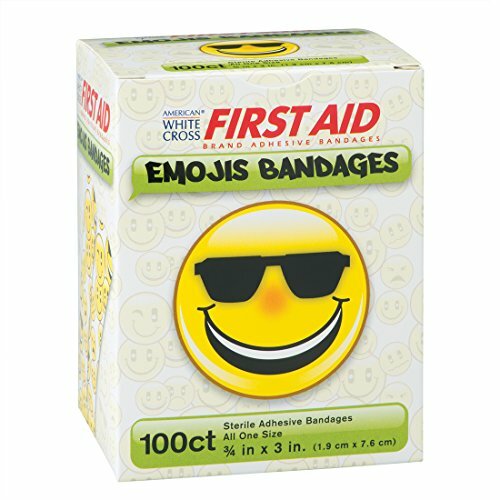 Emoji bandages will keep your bandage stash trendy and in style! Each box of First Aid Emojis Bandages contains 100 standard strip bandages and features fun all over happy, sad, silly, mad and other expressive face designs! Affordable and fun, these popular bandages will make kids of all ages smile. 3/4" x 3"
"The Choice in Fabric Bandages", Coverlet Round Spot band-aids offer complete wound protection and comfort. The shape is perfect for when you need to cover "just a spot". 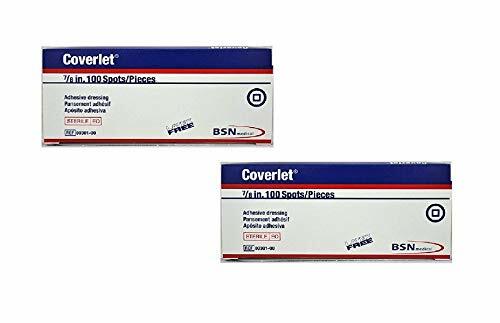 Coverlet sterile spot bandages are made of a flexible fabric that is specially woven to comfortably conform to your body curves and flex with movement. The long-last adhesive provides a complete seal around the wound. For use on minor cuts and wounds. Latex Free. Box of 100. The pups are here to save the day! 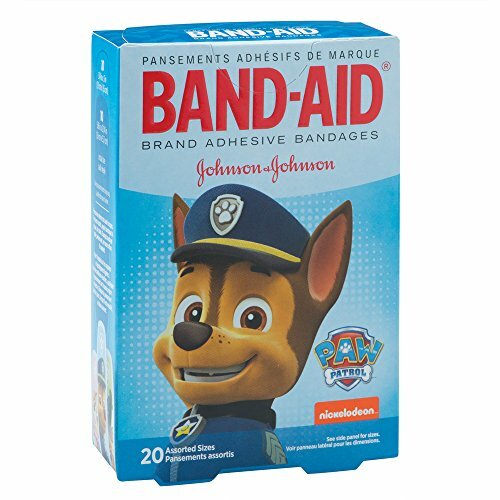 Each box of PAW Patrol Band-Aids contains 20 bandages; 10 small and 10 large strip bandages that feature the brave rescue dogs in training. These bandages are latex-free, however, their packaging does contain latex. Turn those frowns upside down when you cover their boo-boos with fun kid-friendly bandages! Cover their ouchies with kid-friendly bandage designs featuring the furry pals from The Secret Life of Pets! 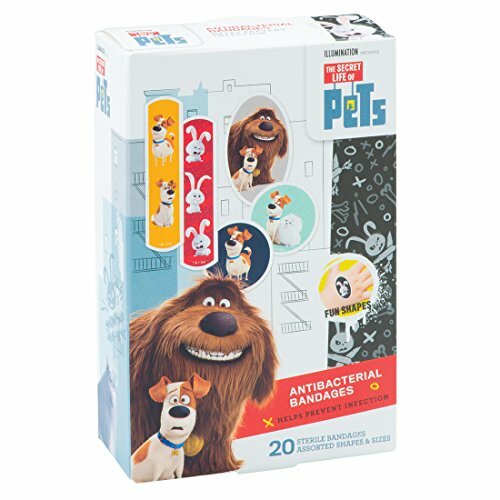 Each box contains an assortment of 20 latex-free standard, oval and spot bandages that feature character favorites like Max, Duke, Chloe, Snowball and more! Their medicated, non-stick pad cushions and protects cuts while also helping prevent infection. Kids will be delighted to receive one of these fun bandages! A LATEX cohesive bandage with hand teat patented technology used to secure, protect, compress or support. An economical, self-adhering bandage that provides excellent porosity in a lightweight, comfortable bandage. Does contain RUBBER LATEX.